Major Ralph Noel Vernon Montgomery D.S.O. Ralph Noel Vernon Montgomery was the son of Hugh Maude de Fellenberg Montgomery and Mrs. Mary Sophia Juliana Montgomery (nee Maude), of Blessingbourne, Fivemiletown, Co. Tyrone. Ralph was born on 26th April 1884 in county Tyrone.The 1901 census records Walter as 18 years old. He is living with his parents in Annagh Demesne, Fivemiletown. 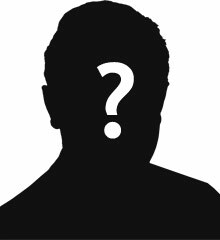 His father is Deputy-Lieutenant (DL),. Justice of the Peace (JP) and land owner. During Victorian times, the Blessingbourne estate comprised 7,996 acres.Major Ralph Noel Vernon Montgomery was served with the "D" Battery,. 88th Brigade of Royal Field Artillery. 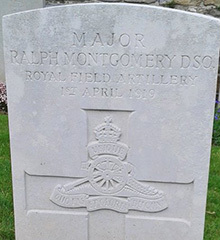 Major Ralph Noel Vernon Montgomery died in at The Military Hospital in Doullens on Tuesday 1 April 1919,.age 34. Doullens is a town in the Department of the Somme, approximately 30 kilometres north of Amiens on the N25 road to Arras. The Communal Cemetery and Extensions lie on the eastern side of the town, about 270 metres south-east of the road to Arras. 8 War Graves Photographic Project Photo of Ralph's headstone can be purchased here.